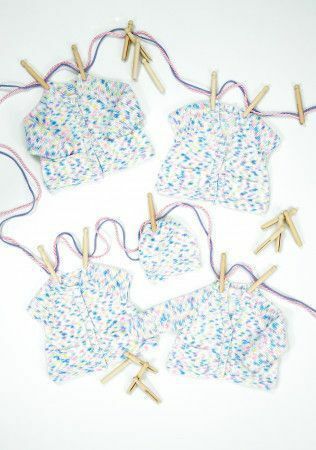 Four variations of Cardigan and a Hat knitted using Wondersoft DK Prints. Pattern shown in shade; Tutti Frutti (1299). Also required: Stitch Holder. Pattern shown in shade; Tutti Frutti (1299).